Hooray for October!! Don't forget to say Rabbit Rabbit White Rabbit today for good luck! We have been soaking in as much Fall fun as we can these past few weeks. 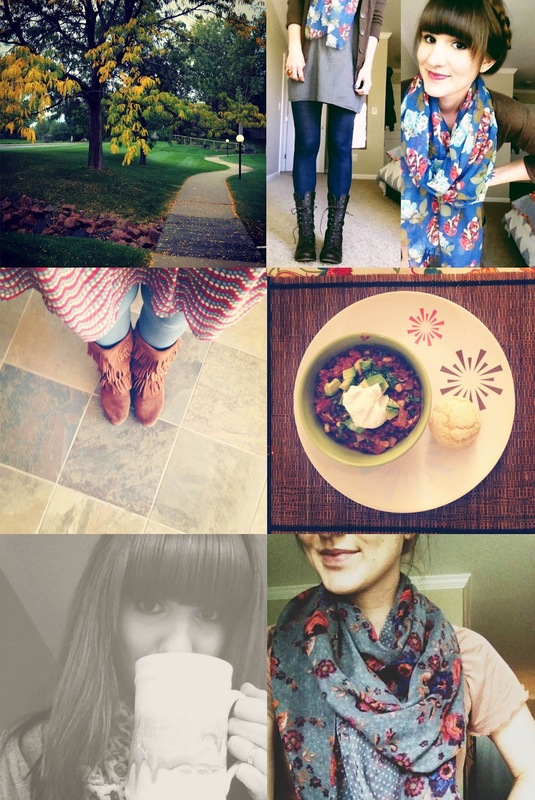 Scarves, boots, cardigans & soups, galore! The leaves are really starting to change color, the days & nights are getting brisk & that sweet smell of fall foliage is in the air! October is by far my favorite month of the year. I plan to celebrate & savor each day! gorgeous scarf! that bowl looks yum! I'm loving the autumn light! love that scarf. you look so happy!